On this page the Safeguarding Team will put current information that is important and relevant to you and your child. Please feel free to contact us at school if you have any concerns or wish to discuss any of the safeguarding information in more detail. During this fortnight yr7 had a safeguarding presentation explaining what we mean by safeguarding in school and how to report concerns and who to. All pupils have attended an Internet Safety Assembly and have been brought up to date with new information on how to keep themselves safe on line. All pupils have also completed Staying Safe Outside and Staying Respectful in their Form groups which included lots of discussion on these topics. Our aim is to educate both parents & children about being safe online. We know it can be hard to keep an eye on what your children are looking at online, what they are putting on their websites, who they are chatting with and what they are downloading. Your children may be more confident in using the internet than you, but that doesn’t mean they can do so without your involvement, advice and support. We have tailored the information on these pages to help you as parents become more involved in your children’s life online. You will find tips, links and even free software available to help your children to use the internet safely. 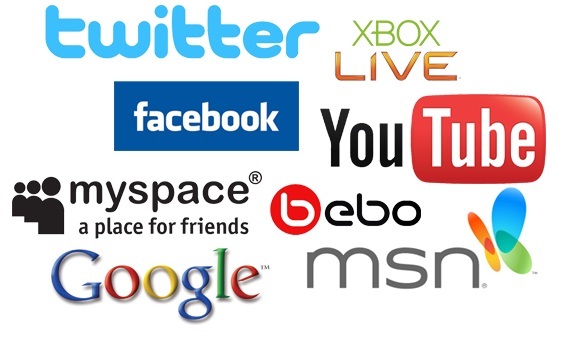 Get involved: become familiar with social networking sites. Ask your child about them, Create an account, find out about what it is about (it is free). Some sites have information and advice for parents. Know how to use the safety tools on the service – privacy settings and how to block, for example. Agree on responsible use – agree on what is OK and not OK to post, always respect others, ask permission of those concerned. Agree on rules – make sure your children know the safety tips. Know the SMART rules about giving out personal information and meeting up with people you don’t know. Know where to report abuse and get help. See the links below. Parent Info: The government has recently launched a brand new website to support parents. The website has been developed with ParentZone and CEOP, the police command responsible for child exploitation and online protection. 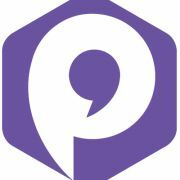 Parent Info is a collection of articles, tips, expert advice and resources designed to help parents keep up with what their children are doing on-line. Think You know : Come in to find the latest information on the sites you like to visit, mobiles and new technology. Find out what’s good, what’s not and what you can do about it. DigiZen : The Digizen website provides information for educators, parents, carers, and young people. It is used to strengthen their awareness and understanding of what digital citizenship is and encourages users of technology to be and become responsible DIGItal citiZENS. NS Teens : NSTeens resources empower tweens (children ages 8 - 12) to make safer online choices through lessons taught in a series of animated videos highlighting the Internet-related adventures of a diverse cast of teenagers. Educators may reinforce the videos’ safety lessons through the use of accompanying activity cards. Child Net International : Childnet International’s mission is to work in partnership with others around the world to help make the Internet a great and safe place for children. 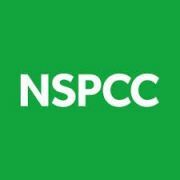 NSPCC: NSPCC have teamed up with O2 to give you everything you need to know about keeping children safe online. Helpful advice and tools you can use to help keep your child safe whenever and wherever they go online. Parent Zone: We help families deal with the many difficulties that are thrown up by the pace of technological change, providing them with the knowledge to make the most of the digital age, creatively and confidently. Also includes Parenting in the Digital Age an online course for parents. Internet Matters: is a not-for-profit organisation working with online safety experts to bring you all the information you need to keep your children safe online. We aim to bring you advice on important e-safety issues, news and advice from industry experts, guidance on setting parental controls and filters, reviews on the latest technology and apps. You have probably seen on the news recently a lot of publicity about the CEOP Button. The Child Exploitation and Online Protection (CEOP) Centre is dedicated to eradicating the sexual abuse of children. They are part of UK policing and very much about tracking and bringing offenders to account either directly or in partnership with local and international forces. Besides its primary role CEOP also deals with other offences against children, such as cyber bullying, hacking & abusive text messages & phone calls. If your child experiences any issues while online they can use the CEOP button to report them to the police and proper authorities. You will see the CEOP button on most popular children’s websites. There are many reasons why young people decide not to talk about incidents, whether that is due to not wanting to talk face to face, lack of confidence, scared, peer pressure or scared in case someone sees them talking to a teacher. As a result we use The SHARP System (Student Help Advice Reporting Page System) which allows young people to report any incidents which occur within the school and local community anonymously and without fear. SHARP also delivers educational content to raise awareness on a wide range of subjects including: Bullying, Health, Community Issues, Weapons and Hate Crime.